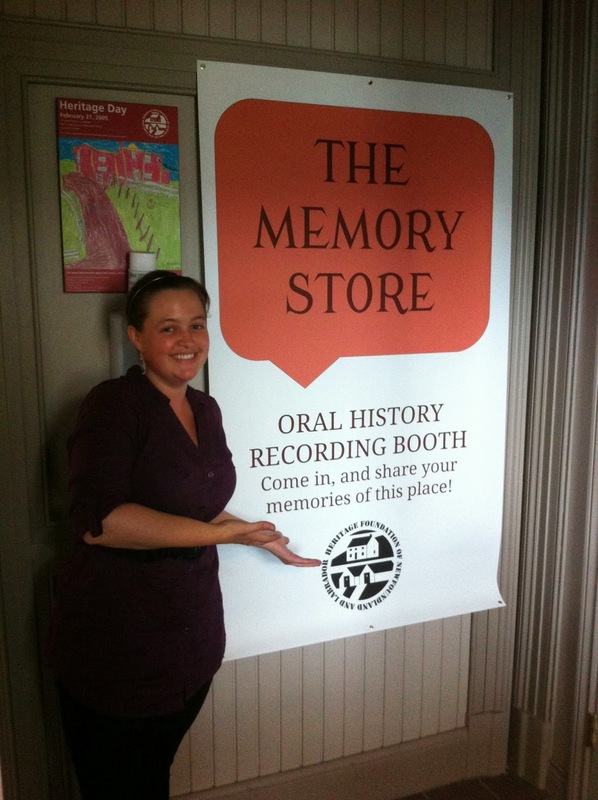 ICH Blog: The Memory Store - Oral history recording booth meets fishing shed! The Memory Store - Oral history recording booth meets fishing shed! Remember those photo booths where you would sit with a friend, pose, and then leave with a few photos? The Heritage Foundation of Newfoundland and Labrador is setting up something similar this weekend in Petty Harbour. The only difference is that they will be recording memories, instead of taking photos. The foundation is setting up what they call “The Memory Store” - an oral history recording booth located in a fishing shed along the Petty Harbour waterfront. The recording booth is being set up as part of the Petty Harbour-Maddox Cove 6th Annual Arts and Heritage Festival, which runs Thursday August 14 - Sunday August 17. The Memory Store will be open from 11am to 4pm each day. Afterwards, participants will be emailed a digital copy or mailed a CD of the interview. A copy of the interview will be given to the Petty Harbour Museum, while another copy will be placed on Memorial University’s Digital Archives Initiative for future generations to hear. Jarvis says people should allow themselves about half an hour for the conversation and paperwork. The sessions and CDs are free for participants. Look for the Memory Store banners and signs during the Arts and Heritage Festival. The Memory Store will be in the yellow shed, right on the harbourfront, three buildings up from the convenience store. Bring a friend or family member, drop by, say hello, and share your memories! For more information, email ich@heritagefoundation.ca. Photo: Heritage intern Terra Barrett with The Memory Store sign. Look for both in Petty Harbour this weekend!